Show your love for your hearth this National Fireplace Month. 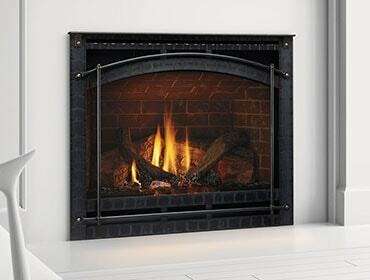 Welcome the home heating season with these fireplace facts and safety tips. For fireplace and stove owners, fall is an exciting time -- it means that most fireplaces will soon be used for the first time since last season and loved ones gather around the hearth for warmth and coziness. It is important that fireplace owners take the appropriate precautions to make certain their appliance is ready to be used safely. HPBA provides a number of homeowner resources on fireplace preparedness to help you prepare depending on the type of appliance. Let us help keep you safe and warm this fall and winter. Install a protective screen to reduce the risk of burns by preventing direct contact with hot glass. Request a safety barrier screen from Heatilator here. Whether you are a current fireplace owner or looking to become one this winter, keep these tips in mind to have a safe and warm winter. Check out HPBA.org/FireItUp and these Gas Fireplace Safety Tips to learn more.